The poet Kabir, one of the most intriguing and celebrated personalities in the history of Indian mysticism, lived in the fifteenth century. He was a great religious reformer and left behind an exquisite body of poetry of enlightenment that weaves together the philosophies of Sufism, Hinduism, and the Kabbala. These poems express a wide range of mystical experience, from the loftiest abstractions to the most intimate and personal realization of God, and have become a classic Sufi text. Rabindranath Tagore, the much loved Indian poet and philosopher, won the Nobel Prize for literature in 1913. 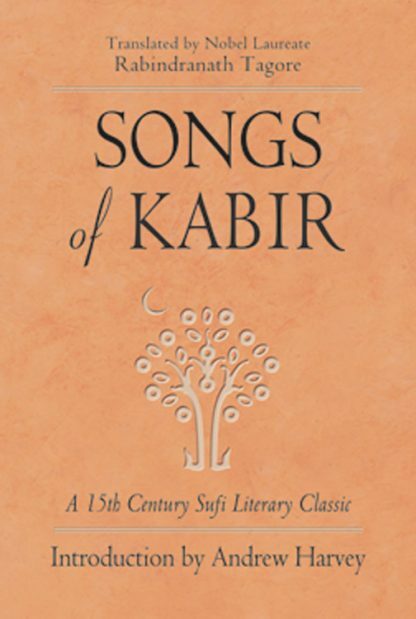 Two years later this translation of the Songs of Kabir was published and introduced these mystical poems to the world outside of India. Now, for the first time.